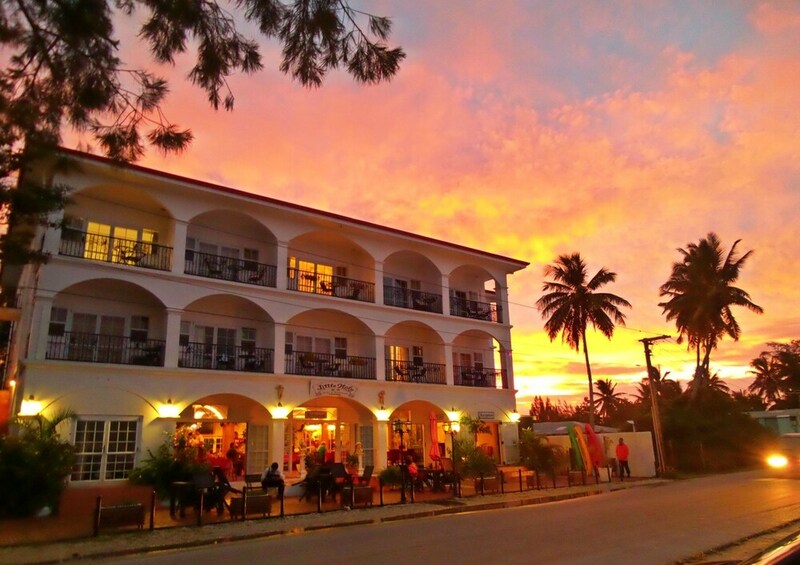 Situated on the waterfront, this hotel is within 1 mi (2 km) of Royal Palace of Tonga and Royal Tombs. Interisland Ferry Terminal and Flea Market are also within 3 mi (5 km). All 22 rooms provide conveniences like refrigerators and coffee makers, plus free WiFi and TVs with cable channels. Minibars, room service, and hair dryers are among the other amenities available to guests. Limited housekeeping is available. The hotel offers a restaurant. A bar/lounge is on site where guests can unwind with a drink. Public areas are equipped with complimentary wireless Internet access. For a surcharge, a roundtrip airport shuttle (available on request) is offered to guests. This business-friendly hotel also offers a terrace, a garden, and concierge services. Complimentary self parking is available on site. Little Italy Hotel has designated areas for smoking. Little Italy - This restaurant specializes in Italian cuisine and serves breakfast and dinner. Open daily.